Louis-Paul Rivest is a professor in the Department of Mathematics and Statistics at Université Laval (Québec), where he founded a Statistical Consulting Service soon after his arrival in 1981. Prior to that, he held positions as Visiting Professor at ETH Zürich (1987), at Cornell University (1995–96) and at the Universidad Nacional de Costa Rica (2009). From 1978 to 1981, Louis-Paul was an assistant professor in the Department of Statistics at the University of Toronto. 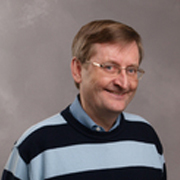 He has held a Canada Research Chair in statistical sampling and data analysis since 2004. Dr. Rivest has authored or co-authored some 80 methodological articles and an additional 15 papers in conference proceedings, and he publishes regularly in journals. He also wrote three short monographs for the Québec Department of Wildlife and Natural Resources, contributed two book chapters and co-edited (with Pierre Lavallée from Statistics Canada) a book entitled “Méthodes d’enquêtes et sondages: Pratiques européenne et nord-américaine.” His publications in directional statistics are often used to study the relative motion of tectonic plates. Similarly, the semiparametric inference methods that he developed with his colleagues at Laval have paved the way to numerous applications of copula models in actuarial science and finance. More recently, he adapted the copula modeling approach to multivariate biomedical data in the presence of censoring and truncation. For several years, Dr. Rivest has also worked in close collaboration with biologists, developing sophisticated techniques for estimating the size of one of the world’s largest herds of wild animals, the Rivière George Caribou Herd in Northern Québec. His contributions to capture-recapture methodology have been incorporated into the “Rcapture” package within the R Statistical Software. Dr. Rivest is also renowned for his work in survey sampling. In addition to developing stratification algorithms and small-area estimation methods, he is a specialist of the treatment of outliers in survey data and is the author (along with Jean-François Beaumont from Statistics Canada) of an expository paper on this topic. In 2010, the Gold Medal of the Statistical Society of Canada was awarded to Dr. Rivest, and through the years, he has served the statistical community, particularly within the Statistical Society of Canada in several roles including President and Board member. A native of Montréal, Dr. Rivest earned a bachelor of science degree (1975) and a master’s degree (1976) in mathematics at the Université de Montréal, and his doctorate at McGill University (1978).